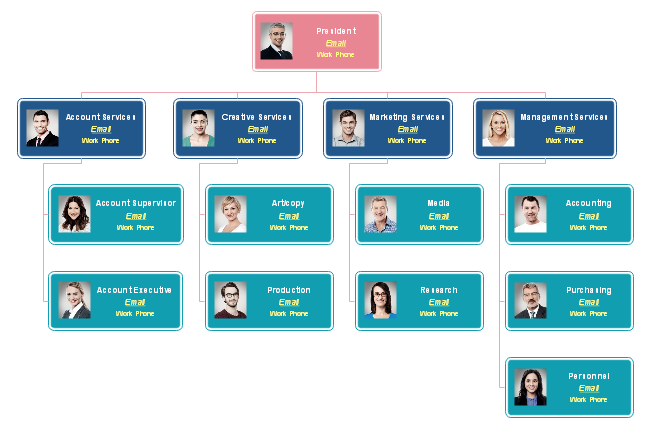 Good marketing organizational chart enables you to see the marketing work division clearly. View and free download market organizational chart to improve business marketing. The content marketing organizational chart divides content marketing into hierarchical positions. From the chart, you can tell what part each position is ressponsible for. Easily facilitates strategic planning and workforce management. 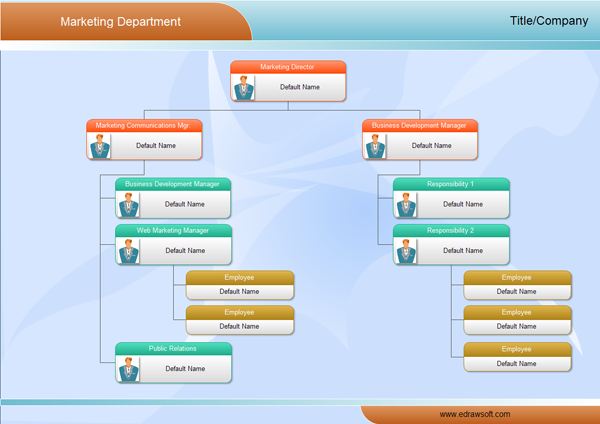 The following is a simple market department organizational chart, showing the hierarchy and work dividion of marketing department with photo. Get inspirations from this chart to create, keep and satisfy the customer with great marketing strategy. Digital marketing refers to advertising delivered through digital channels such as search engines, websites, social media, email, and mobile apps. 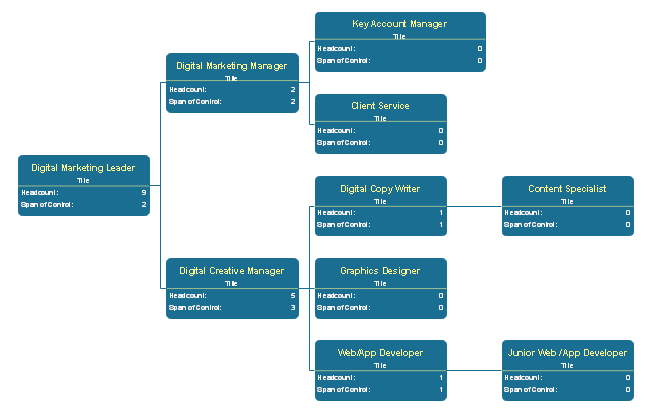 The digital marketing organizational chart displays digital marketing work division as well as headcount and span of control of each level. This chart may help you develop digital channels to connect with current and prospective customers. OrgCharting enables you to create clear and comprehensive market organizational charts even as a beginner. As you can see by studying the sample organizational chart examples above, these types of charts are the ideal way to illustrate the inner structure and hierarchy of a business or any other type of organization. In organizational chart, boxes at different positions are not only distinguished by horizontal level but also varying colors. 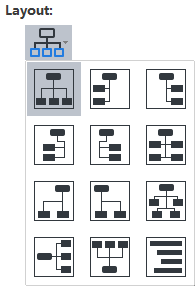 OrgCharting supports to select several shapes and then modify them at the same time. Click to elect the first box and then Press Ctrl to select more boxes. 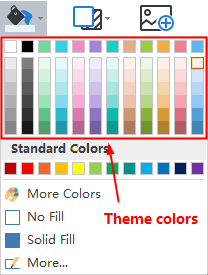 To change box' fill color, click Fill and then choose a theme color. There are various layout options available. Shapes will rearrange on their own after applying another layout style such as tree style. 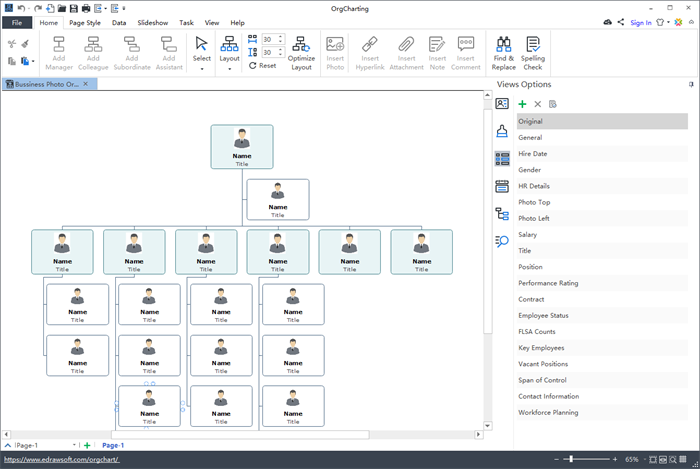 The excellent organization chart software can generate shapes and connectors automatically. Users don't need to worry about alignment and distribution.